In every console cycle there are always games that get lost in time for whatever reason, waiting for the day when an ardent fan would bring them back up to a volley of puzzled looks. When AKI Corporations’ WWF No Mercy debuted on the Nintendo 64 in mid 2000, people were already looking towards shinier, newer things that they were told would blow their socks off, destroy their wallets and take them to the elusive ‘Third Place’. 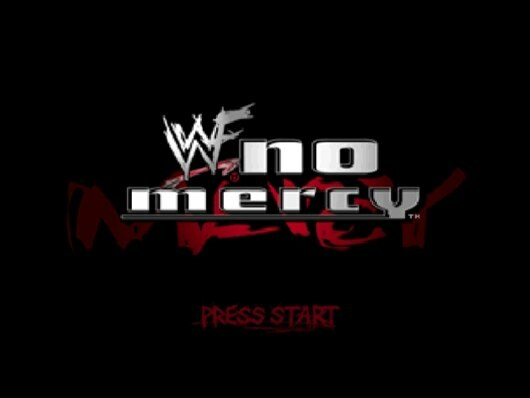 Concurrent to No Mercy‘s release, wrestling popularity was at its height, and kids everywhere wanted to be The Rock or Stone Cold Steve Austin ( including me). When WWF No Mercy came out my local Kmart’s game shelves were filled with nothing but copies of Waialae Country Club and the odd exorbitantly priced copy of Conker’s Bad Fur Day (something for another article to be sure), so at this point I was mighty wary of what I was getting into. 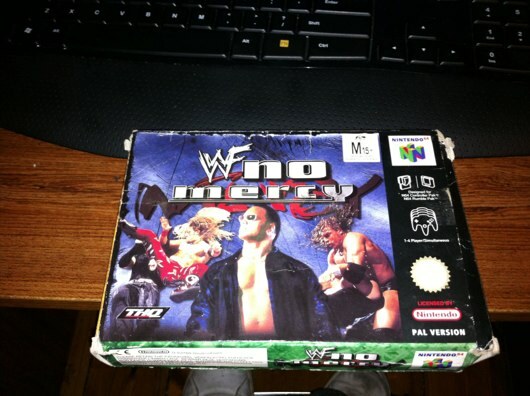 It’s handy then that No Mercy was both a fantastic representation of wrestling and a damn good game. In fact, it was one of my favourite games of all time! All it took was five buttons of destruction and the loving cradle of the Nintendo 64 controller and you could be beating up a virtual Triple H in no time. 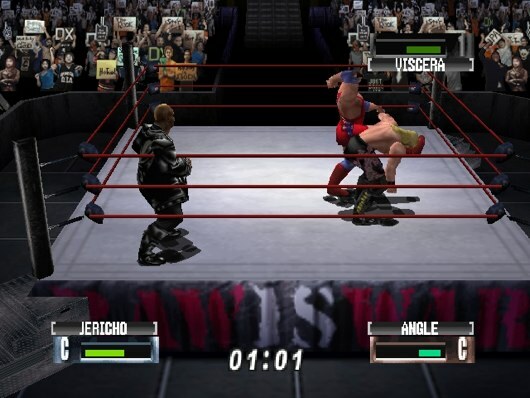 Never mind the overblown simulators that wrestling games have become today, No Mercy had an easy to learn, yet robust grapple system which meant that all competitors were (usually) similarly skilled, moves were easy to pull off and wonderfully animated for the time. There is something awesome about seeing your opponent somersault through the air rag-doll style after a well-timed clothesline, or smash into the canvas after a power bomb. If you became good enough, simple strikes could be turned into match winning counters – all the more sweet when you could hit an opponent with their own finisher. When I say hit, I mean really hit! No Mercy captured the big hits of wrestling so well and with such great sound effects that when I used to go town on friends with a set of steel steps or a ladder I almost felt sorry for them…almost! The grunts and groans heard during submission moves are also pretty awesome but in more of a, ‘I suddenly feel disturbed’ kind of way. The bell sound effect that rang when a player copped a low blow is still hilarious to this day. 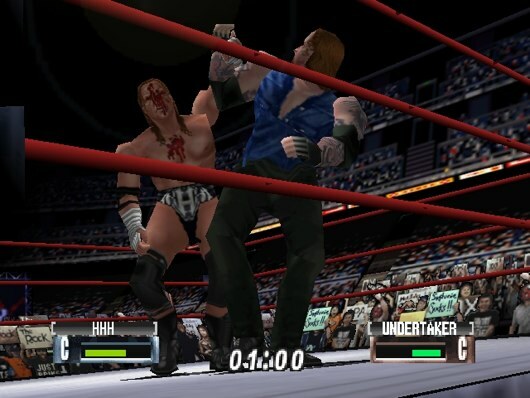 But it wasn’t just the game play that made No Mercy stand out – we’d already seen a similar engine in the previous games Wrestlemania 2000, WCW vs N W O Revenge and WCW vs N W O World Tour. It was the fact that the game is pure fan service with over 60 wrestlers to choose from, including some wacky retro long-retired ones. Nearly every wrestler came with their own unique move set and entrance video with authentic music and taunts. They even modelled the different arenas from the show for extra authenticity. Of course, I’d love to call No Mercy a perfect game but there are a few minor things that have always irked me. If you played the game regularly you’ll remember a rather annoying glitch that randomly deleted your content. There are also other versions of the game where characters wouldn’t bleed. But hey, I’m willing to let a couple of troublesome glitches slide after so much fun, especially for something that’s still enjoyable to this day. 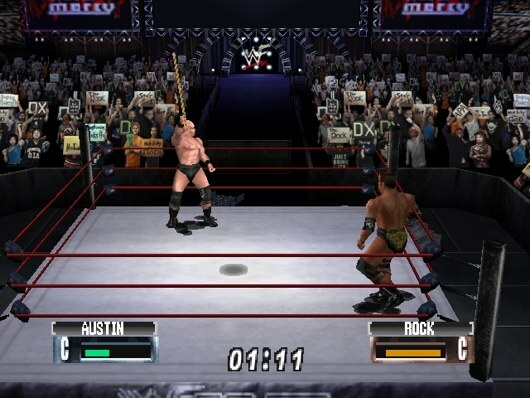 So much so, that No Mercy remains a very popular choice for wrestling fans on the PC. 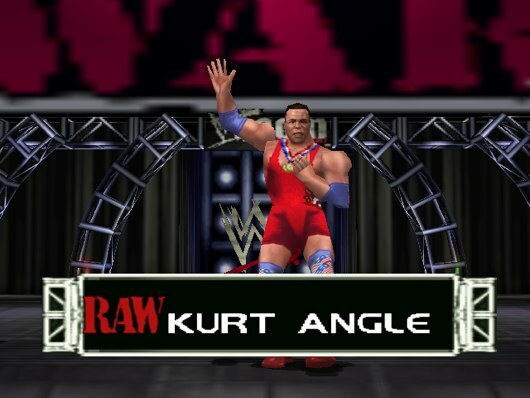 Although, seeing as they’ve patched and modified the game so much to bring it up to ‘modern’ graphical standards it has become very much a different game – with some people going so far as to replace the older wrestlers with the current ones. Sacrilege! So if you’ve read this far you may have worked out that I hold this game in rather high regard. For me, it’s a game that sits up there with Goldeneye for multiplayer on the Nintendo 64 and is easily the best wrestling game of all time. The gameplay holds up so well and there’s so much to do that even though I don’t watch wrestling anymore, I can still return to it with three friends and have as good an experience as I had 11 years ago. In fact, I might just go fire it up right now.